How nations and corporations visualize and brand themselves has long been an interest for Simon Denny. 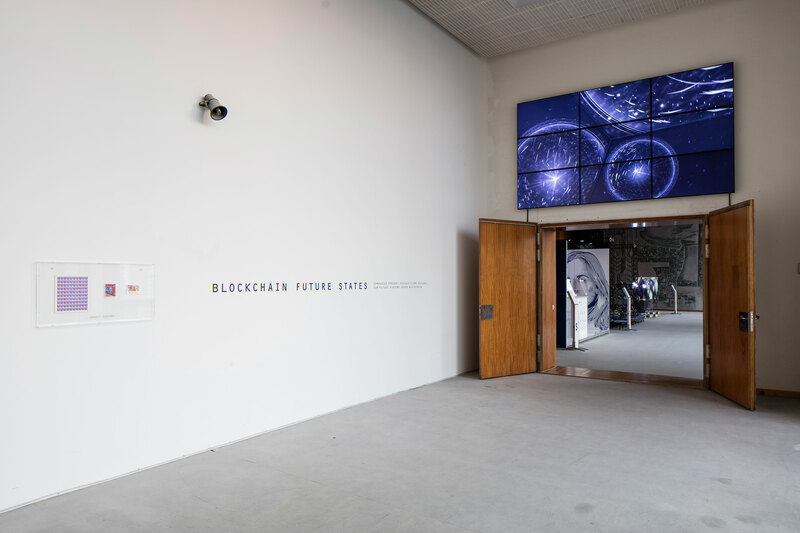 Blockchain Visionaries showcases three real companies—Ethereum, 21 Inc, and Digital Asset Holdings—at the forefront of digital monetary platforms and the application of the blockchain, a decentralized transaction database technology that is the backbone of the denationalized cryptocurrency BitCoin. 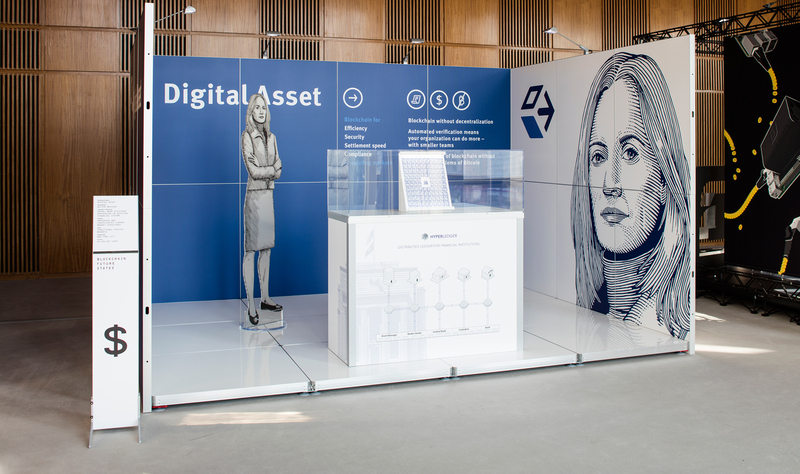 Denny has created a trade-fair-like information booth and a postage stamp for each company, which individually embody a future direction in blockchain technology. 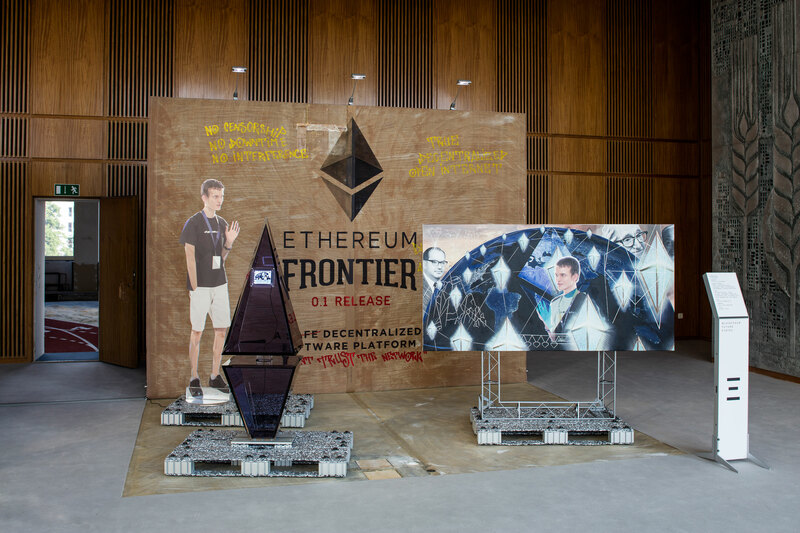 Through the stamp, a waning technology and a literal image-turned currency, Denny foregrounds these three startups as enacting supranational economic schemes. 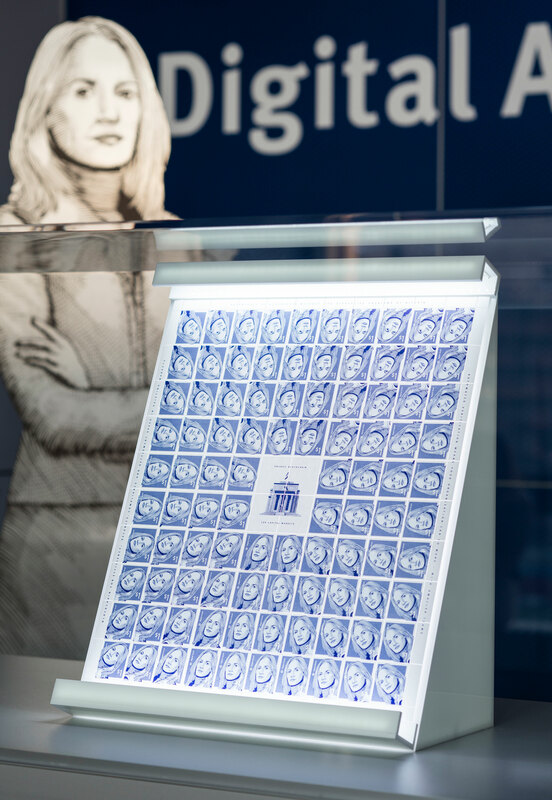 Created with Linda Kantchev, a postage stamp designer born in the former East, the stamps’ illustrative potential is instrumentalized to convey each company’s market ambition and implied systemic proposition for the future. 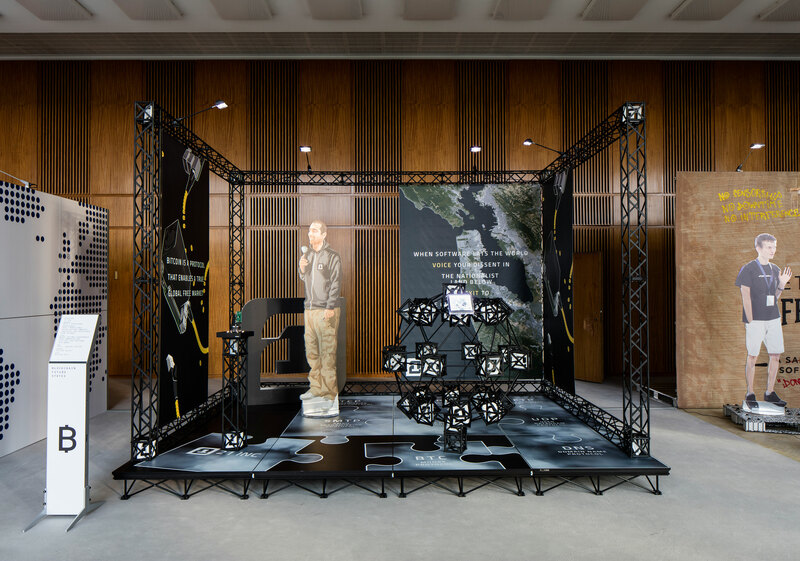 Denny’s installation reaps dramatic force through its location in the vast conference room of a building that was formerly the site of the East German Staatsrat (State Council) and is now a management school. Still in its original condition, the room is dominated by a large metal mural rendered in the official style of Socialist Realism and bearing the smokestacks of a bygone industrial age—accompanied by a dove of peace, a monument to the hope technology can bring.